Filmmakers nowadays are finding innovative ways to bring audiences to their films. Be it filmmaking or marketing, you can safely say the movie industry has become technologically more advanced and savvy. The expertise used in films today would have been unimaginable 10 (maybe even five) years ago. Here are five technologies set to replace traditional filmmaking processes. Initially, virtual reality was more of a gimmick to get audiences to the theater. Now, it is a genuine method of making films. The benefits virtual reality has to offer are plenty – it can be used as part of a narrative, as a pre-production tool to demonstrate 3D props and sets before being constructed, and generally to connect the audience with the film. Computer generation allows filmmakers to insert scenes after filming them in front of a blue screen. The technology has advanced such that even actors can now be generated virtually. Paul Walker’s appearance in Furious 7 was a digital reconstruction which was used to complete the film after his death. It is not possible to have a crew of over 100 or 200 available at a director’s beck and call 24 hours a day even when their presence is not required. Apart from a core group, the rest of the crew can work from any location on the globe. 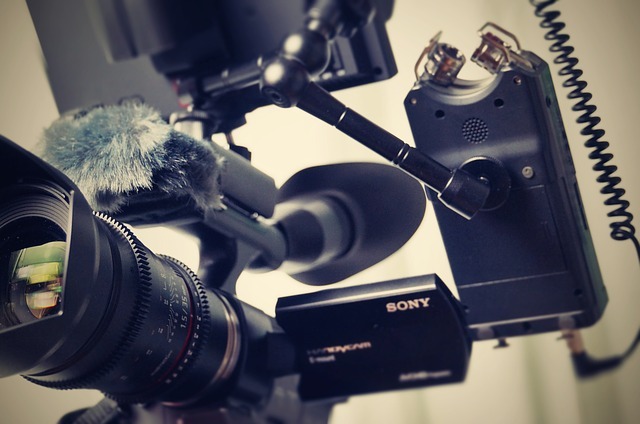 The developments in online communication and digital workflows have given filmmakers a lot of flexibility and space in order to hasten a film’s completion. The riskiest part of being a cinematographer is capturing aerial shots for a scene suspended from a crane many meters above the ground. There is a huge danger to life and limb if anything untoward were to occur. To avoid any fatalities or injuries and still film the scene, filmmakers can use drones operated via a remote control. It is not always feasible to build elaborate sets for a film, especially if there are a number of details which have to be incorporated into them. They are time-consuming and put filming behind schedule. Not only is 3D printing affordable, the level of detailing, size, and finish is far superior compared to the traditional methods used in production design. Getting a group of strangers together to either make or fund your movie has become a reality with collaboration and crowdfunding websites. The benefits of these websites can be seen as many projects that would otherwise never have been made because large studios would not see the return on them, have become indie sensations thanks to them. Kickstarter, IndieGoGo and Nerdeo are at the top of this list. These technologies have been around for some time but their extensive use in filmmaking is quite new. As filmmakers move away from traditional techniques of storytelling, audiences, too, will find it intriguing and engaging to experience a film which does not stick to the same.